I arrived at Eagle Rock School a year ago as a contract instructor tasked with co-facilitating a wilderness experience for new students. The 38-day contract was to help provide a wilderness experience in which all incoming Eagle Rock School students must participate prior to becoming an official member of the Eagle Rock community. While getting to know many students and staff at Eagle Rock during those initial days, I began to feel the connection and commitment these educators and kids had to their environment. Whether it was an educational opportunity or a place of employment, each individual knew they belonged to something very special. This mountainside setting simply felt like a force of influence. As we all settled into our new environment, I saw students taking time from their learning environment to work on personal growth. I saw staff members who told me they returned to Eagle Rock after trying out new positions in other locations with other organizations. What powerful bond brought these individuals back to Eagle Rock? As I walked the trails on campus and wandered around the rustic buildings in town, I purposely spent a lot of time speaking and listening to members of this community. As a result, I began to embrace the wonder and tenacity of the students and educators that make up the Eagle Rock community, tucked as it is at the base of the Rocky Mountains. It became quite apparent that each and every individual associated with Eagle Rock has a deep relationship with the people, place and all that makes up the “nucleus” of the Eagle Rock experience. They’ve each developed their own “sense of place” and attachment to their environment. Sense of place is arguably spiritual in nature because it is unique to the individual describing an affinity toward a location, community or landscape. This type of connection is intangible and emotional and, in dialogue, is often described as being felt rather than created. Whether it’s attachment or belonging, the energy was something that drew me in, and I felt fortunate to return for the following trimester in the same capacity. I feel fortunate to be numbered among those free spirits who work as contract staff, or individuals hired temporarily by organizations or schools to co-facilitate backcountry experiences with youth. We all share a similar lifestyle. In my experience, I work intensively with a small group of students for three to five weeks, and upon completion of a course, I have time off to enjoy friends and family, work on technical or interpersonal skills, and purely recreate in the outdoors. This year in particular has been a time of much professional growth, excitement and ultimately, much freedom. In the past year, I have had the privilege of working in five different states, spending more than 140 days in the backcountry. On paper that sounds like the dream job — an opportunity to work alongside young minds while fully experiencing the outdoors, including its weather, wildlife and pristine views. And while this career has provided me much emotional and spiritual fulfillment, it doesn’t offer much in the way of stability. So now, as the 2016/2017 Eagle Rock Public Allies Fellow in Outdoor Education, I find myself transitioning from a predominantly contracted field instructor to holding a fulltime position at Eagle Rock School for 12 solid months. In this recent metamorphosis, I am focusing on different sources of fulfillment. I am finding the benefits of belonging within the community, engaging in interpersonal dialogue, and contributing to positive campus culture. Before this, I invested heavily in my own personal growth and now I strive to engage students and encourage them to foster growth within themselves. Also in this shift, I am exploring my spiritual attachment to this community and physical location, and I am developing my own subjective perceptions of my environment. In my own way I am cultivating my own sense of place. 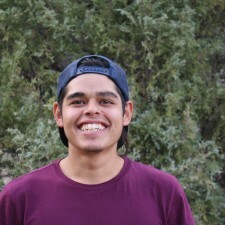 About The Author: Jordan Cerna is the 2016/2017 Public Allies Teaching Fellow in Outdoor Education at the Eagle Rock School and Professional Development Center in Estes Park, Colo. Prior to Eagle Rock, Jordan attended Earlham College in Richmond, Ind., and worked as a field instructor for the National Outdoor Leadership School in Lander, Wyo. This entry was posted in Public Allies, Wilderness and tagged Earlham College, Jordan Cerna, NOLS, Public Allies Fellow.